In 2011, Feld Motor Sports® announced the creation of an inaugural event called the Monster Energy Cup. 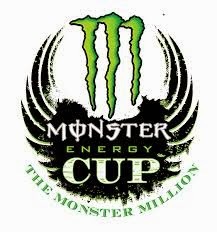 Monster Energy Cup posts a purse of a quarter-of-a-million dollars and a potential $1 million bonus, that will take place at Las Vegas’ Sam Boyd Stadium on October 18, 2014. This invitation-only race will showcase the world’s top supercross racers. features the top riders competing in three main events on a hybrid supercross/motocross track, bringing a unique challenge and experience to the world of motocross racing.